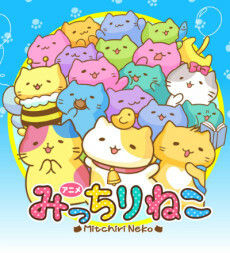 The franchise centers on the cats known as "Mitchiri Neko," who seem to multiply greatly when left alone. (As the official YouTube channel for the franchise explains, "'Mitchiri' means sticking together or packed, and 'neko' means a cat in Japanese.") The cats are able to speak and mimic human behavior. The franchise has a variety of cat characters who have distinct personalities.